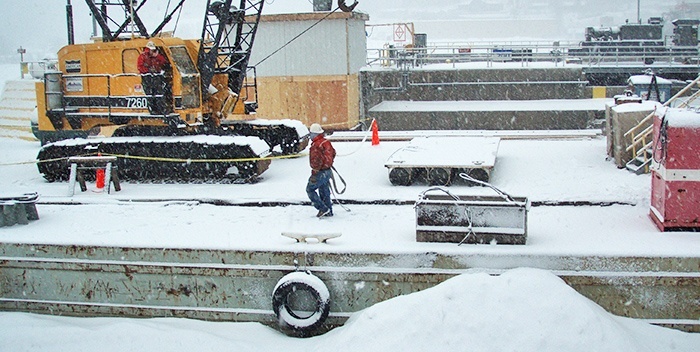 As we begin the month of November those of us that work in and around the water have to start planning for seasonal changes and the accompanying cold weather challenges. Water temperatures begin to drop rapidly, sometimes over a degree Fahrenheit (F) per day. This presents a whole new bunch of logistical and safety risks.